Huntsville’s transformation from a sleepy mill town into “Rocket City” and an international force in the high-tech world has been mirrored in the growth of Huntsville City Schools, an ambitious evolution that continues to this day. Huntsville City Schools has not only greatly expanded its number of schools and students served in the 140-year history of publicly supported education in the city, but it has excelled. It was the first system in Alabama to have each of its elementary schools receive accreditation from the Southern Association of Colleges and Schools. However, that sort of recognition was nothing new. 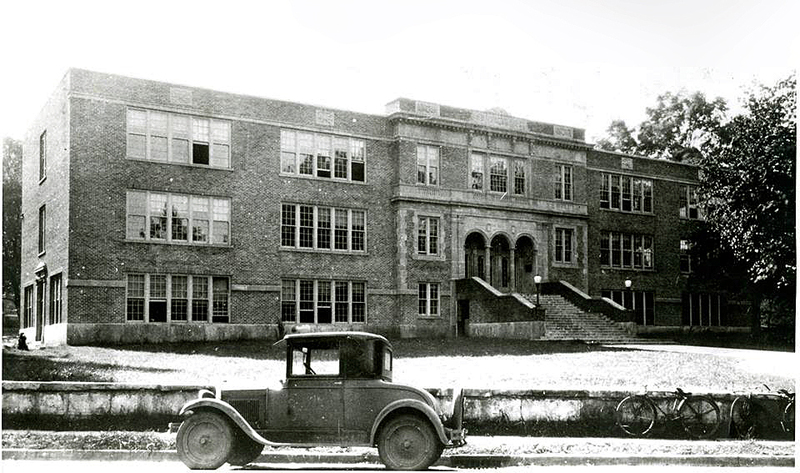 As far back as 1912, Huntsville High School had become one of the first schools in the South to receive such accreditation. Education has been a priority for Huntsville, even among the early settlers, who built the first school in 1807. In 1875, the city government began managing and supporting public schools, establishing a school committee. Beginning in 1907, a five-person school board was appointed by the City Council; the board was elected by the public beginning in 1972. In the early days of the city, schools met in rented buildings or privates until the first school was constructed in 1882, with 133 students then enrolled in Huntsville’s public schools. A four-year high school followed in 1908, and two others opened in 1927. Through the first half of the 20th Century, many students in the area were taught in schools at the various mill villages, which were not part of the city. However, annexation in 1956 brought them into Huntsville City Schools and the number of schools blossomed to 13. Huntsville’s population nearly doubled between 1956 and 1970 and the city boundaries grew from 4 ½ square miles to 114 because of the work done at Redstone Arsenal and Marshall Space Flight Center. Huntsville City Schools worked to keep pace. By 1972 there were five high schools, nine junior highs and 26 elementary schools. During that period, Huntsville City Schools served as a model for progressive racial integration. In 1963, Sonnie Hereford became the first black student to enroll at a white Alabama public school. Twelve years later, Hereford would be elected student body president at the fully integrated S.R. Butler High School. Huntsville City Schools unveiled a $280 million capital plan in 2013 to build six new schools to provide state of the art learning facilities. One of these schools is named Sonnie Hereford III Elementary. Currently, Huntsville City Schools is one of seven Centers of Excellence for Cybersecurity in the United States. HCS is a fully digital 1:1 school district, providing every student in grades three through twelve with a laptop computer. Huntsville City Schools is the home of state of the art courses in academics, fine arts, and career studies. Our students excel academically and earned over $54 million in scholarships in 2016. Huntsville City Schools has nine Blue Ribbon Schools.